To assist you in writing songs this online tool can be used to generate an unlimited number of unique rhythm patterns. Go ahead and press the Generate Rhythm Motif buttons to change the pattern. Some ways you can use these rhythm patterns. You can play around with these patterns by going to the online drum sequencer and enter the pattern into the app to sample the pattern. Combine both patterns to make a new single pattern. Take these pattern and increase the note or rest value. Augment the time value by doubling the value. Change all eighth notes to quarter notes, Change all Quarter notes to half notes. etc. This is similar to augmenting note values except you do the opposite and shorten the time value of each note or rest. All half notes become quarter notes, All quarter note become eighth note etc. This is the most amazing tool to wring songs with. Thank you RRMG. I really think your information is top notch. It is truly helpful. I, too, play by ear and could really use the chord progression in an audio format. Thanks for considering these requests. I will take into consideration your request to upgrade the chord progression to include an audio format. I have read a some excellent stuff here. I appreciate how much effort you put into creating this great informative web site. Helpful information. I am fortunate to have discovered your site, and I’m wish I had found you earlier! I bookmarked it. It is really a great and useful piece of information. I am satisfied that you shared this useful information with us. Please keep us informed like this. Thank you for sharing. Useful info. Lucky me I discovered your website by chance, and I’m stunned why this coincidence didn’t happened in advance! I bookmarked it. Helpful information. Lucky me I found your web site by accident, and I’m shocked why this accident didn’t happened in advance! I bookmarked it. Thanks for some other great post. The place else may just anybody get that type of information in such a perfect way of writing? I’ve a presentation subsequent week, and I am at the search for such info. Thanks for the auspicious writeup. It actually was a enjoyment account it. Glance complicated to more introduced agreeable from you! However, how could we keep in touch? I’ve been exploring for a little bit for any high quality articles or weblog posts on this kind of house . Exploring in Yahoo I ultimately stumbled upon this website. Reading this info So i am happy to exhibit that I’ve a very good uncanny feeling I discovered just what I needed. I so much definitely will make sure to don?t omit this web site and provides it a look on a relentless basis. Excellent post. I used to be checking continuously this blog and I’m inspired! Extremely useful info specifically the last part :) I care for such info a lot. I used to be looking for this certain information for a very long time. Thanks and best of luck. This is a great tool. What would really make it fantastic would be to have it give an audio rendition so those of us who play by ear but can’t sight read music could hear and understand the generated rhythms. That’s a great idea. I will look into creating one in the future. I can’t wait to wring a song with this one. Awesome, when you have something please feel free to share it with us. That’s great. Let us know how it works for you. Practice writing lyrics that have absolutely nothing to do with anything you’ve actually experienced. 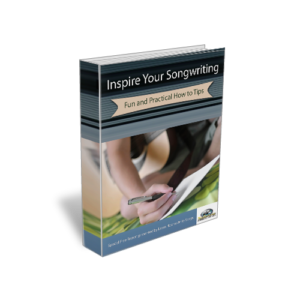 This could really add more variety to your lyric writing. Was it something experienced by someone you know? Write about it.